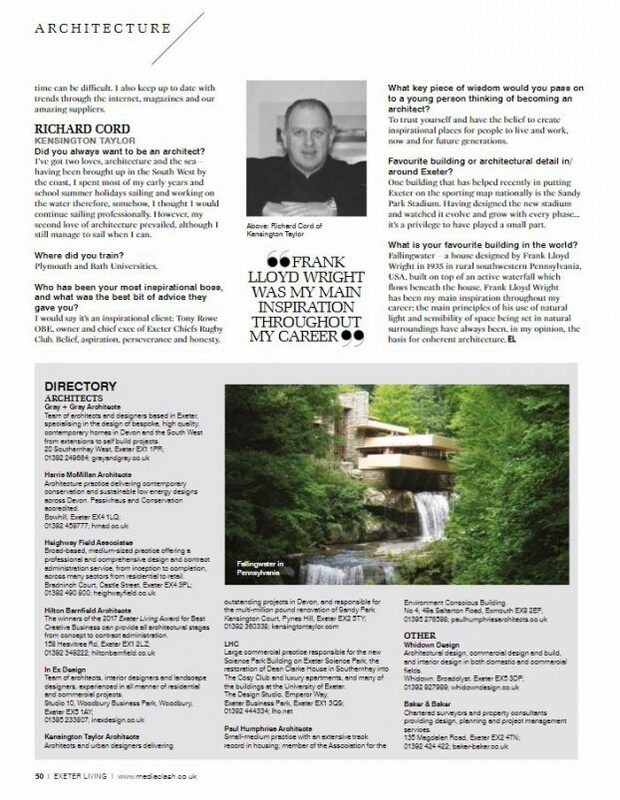 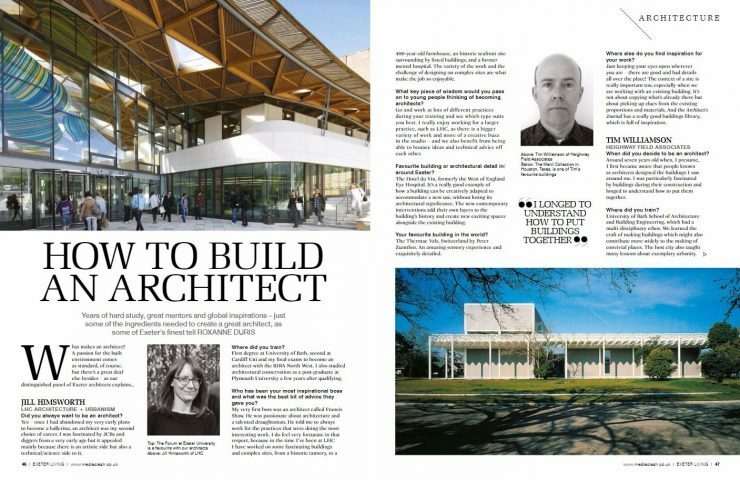 Have you seen the How to Build An Architect article? 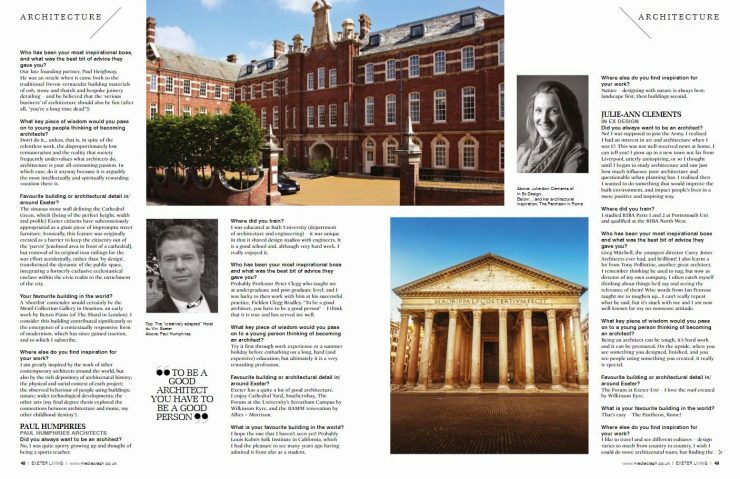 In Ex Design’s director Julie-Ann features as one of Exeter’s Architects! The article in the new issue of Exeter Living Magazine features interviews with local Architects and their inspiration. 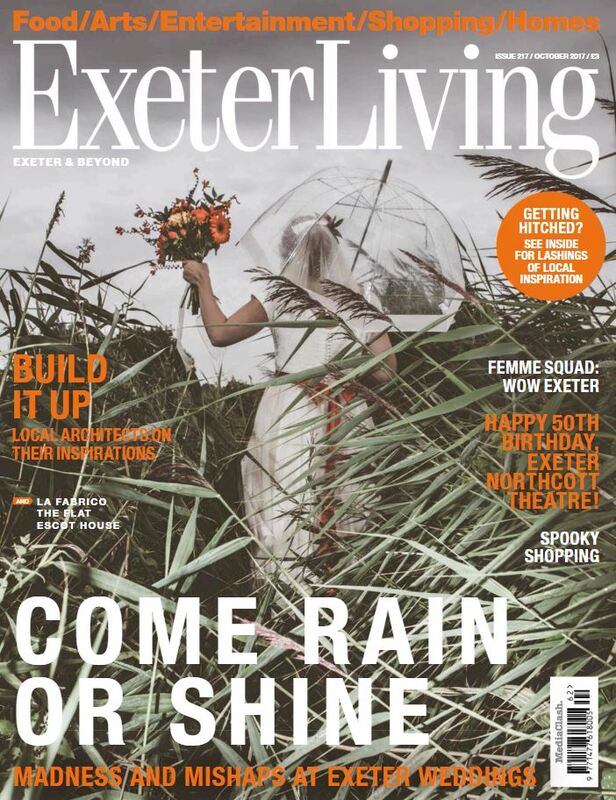 View the article online here to read about some of Exeter’s finest and what drives them.